Welcome fellow DC Comics fanatics to another Super-Villain Sunday, this week we present you with the main man himself, the last Czarnian, and indestructible space biker of the cosmos, LOBO! Lobo was created by Keith Giffen and Roger Slifer in 1983, making his first appearance in Omega Men #3. Lobo is the sole survivor of his home planet of Czarnia, once renowned across the universe as an idyllic and serene paradise. That is, of course, until Lobo was born, he was trouble from the moment he was delivered, chewing off the fingers of his mother’s midwife, and frightening the nurse who helped deliver him, to death (literally!). 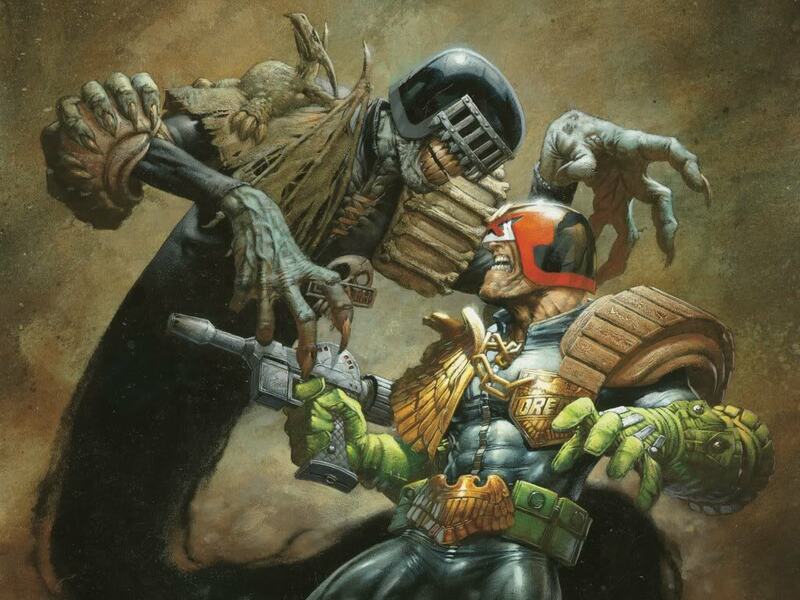 As he grew up his unusually violent behaviour increased, as a child he murdered every guardian and caretaker he had, he was an absolute aberration amongst his fellow Czarnians, who were a peaceful and harmonious race of people. Eventually Lobo committed his most heinous act as an adult, global genocide, by creating a horde of lethal insects that slaughtered his entire race, ultimately making him the last of the Czarnians. 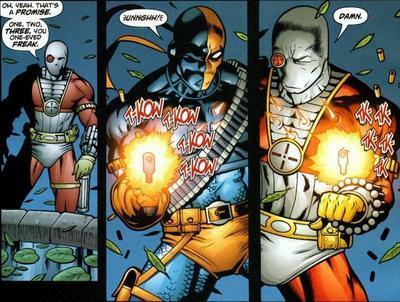 Lobo became a universal mercenary, hiring out his unique talents to the various lowlifes and organisations that could pay him enough. When Lobo first came across Earth, he decided to challenge its most powerful heroes and villains in an attempt to prove himself as the ‘Main Man’. 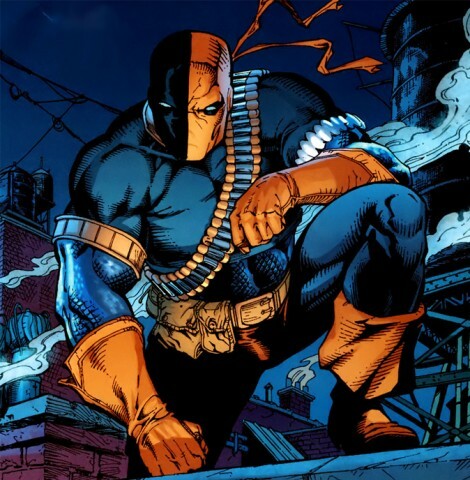 He fought and won his initial engagements against Superman, Warrior and Justice League, but was ultimately brought down by Wonder Woman after he murdered dozens of her sister Amazons. Lobo’s powers include, the ability to replicate himself from a single drop of blood, near invulnerability, super strength and the ability to track his prey, to pinpoint precision even across galaxies. 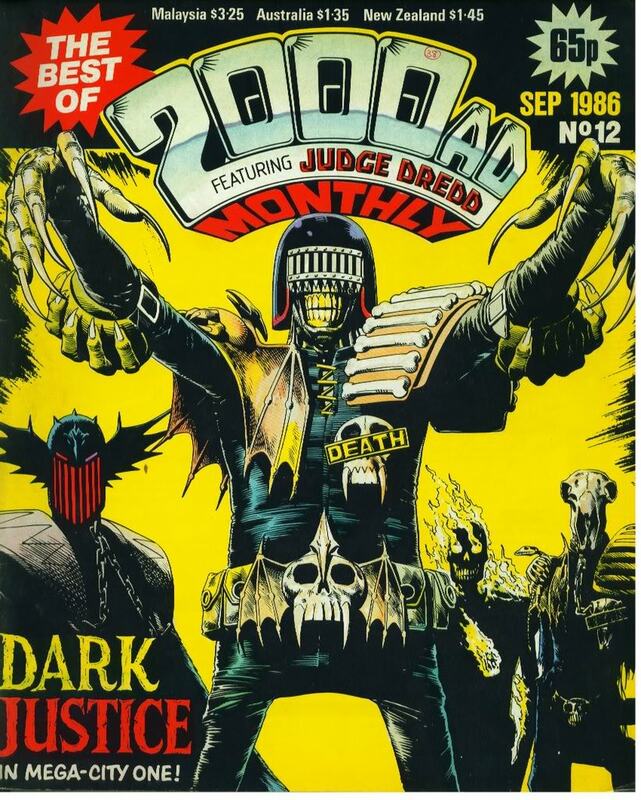 Super-Villain Rating: The Main Man! Lobo Reading Recommendations: Lobo: Portrait of a Bastich. 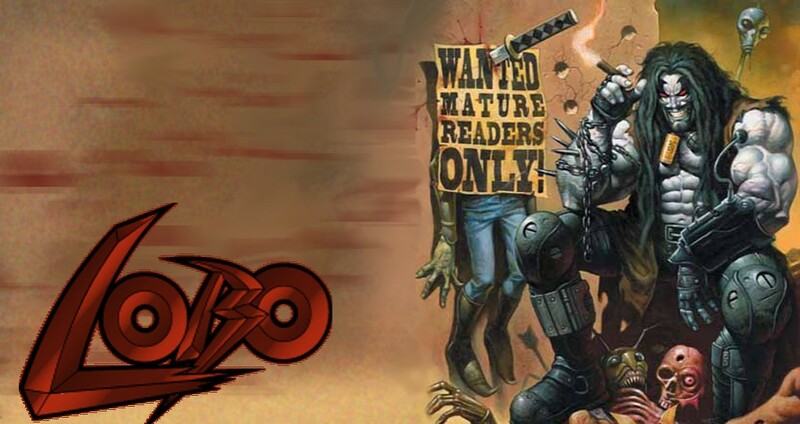 Lobo: Unbound. 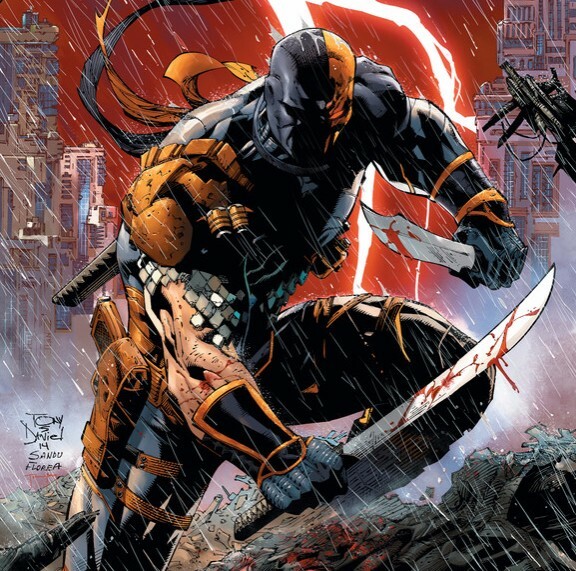 Deathstroke: Lobo Hunt. 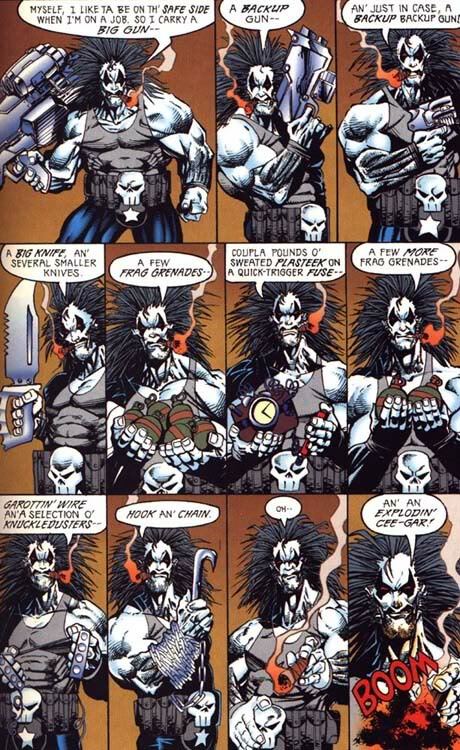 Lobo: Paramilitary Christmas Special. Super-Villain Sunday this week brings you the immortal Greek witch Goddess – Circe. One of Wonder Woman’s most powerful foes, Circe was first introduced into the DC universe in Wonder Woman #37 in 1949, created by Robert Kanigher and Harry Peter. This original version of Circe is a centuries old sorceress who gets her immortality from a rare elixir called Vitae, she was banished to the space island of Sorca by Queen Hippolyta (Wonder Woman’s mother and Queen of the Amazons) for her crimes against Humanity. 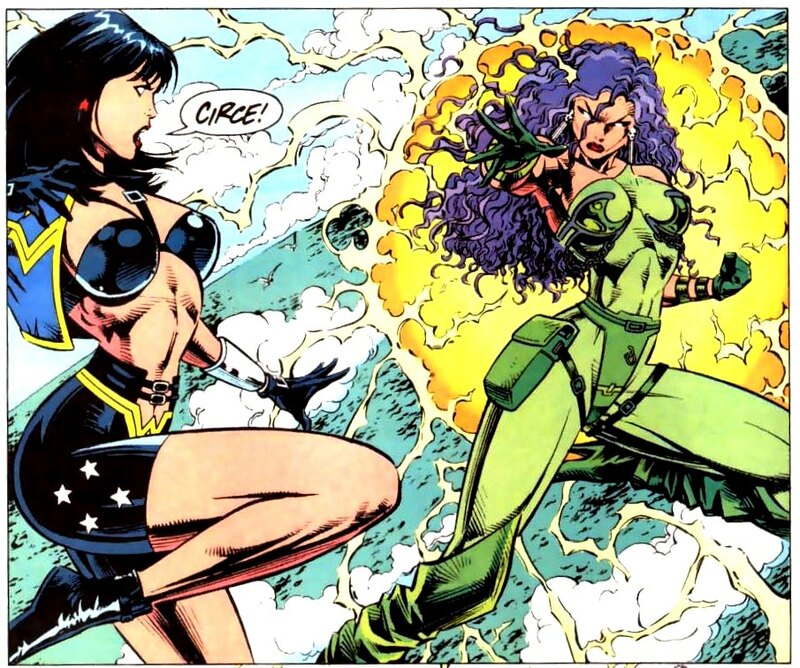 The modern, post crisis interpretation of Circe was created by George Perez in 1988, her previous history was rewritten though the core of the character remained the same. Modern Circe is the daughter of Greek Titans Hyperion and Perseis, and is still an immortal sorceress. Former Princess of the island of Colchis, Circe has been a follower of the Goddess Hecate for thousands of years. Whilst living on the island of Aeaea, Circe met and fell in love with legendary Greek King and hero Odysseus, with whom she had three sons, Latinus, Telegonus and Agrius. 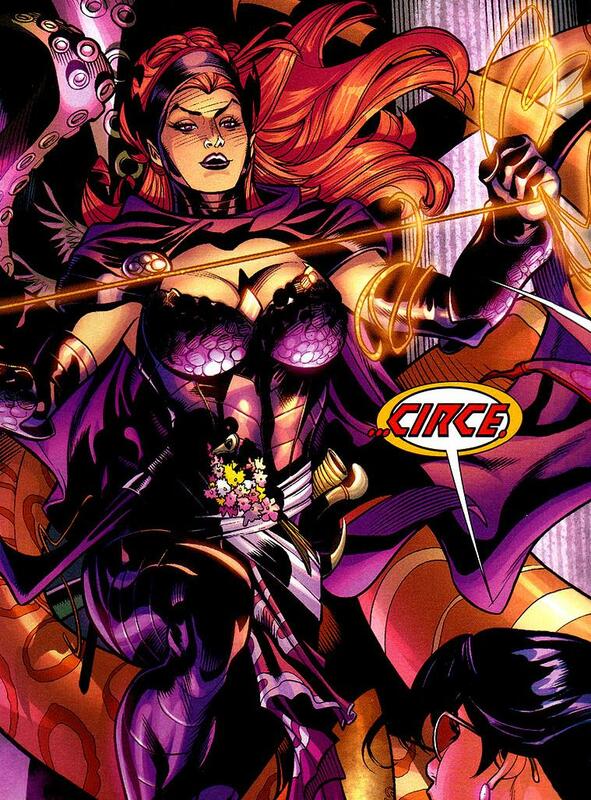 Though an all powerful Goddess and witch, Circe at times has allied herself with several other Super-Villains to help her gain influence and expand her control over the mortal world. Most notably as a member of Lex Luthor’s Injustice gang which counted amongst it’s members the Joker, Star Sapphire, Chronos plus many others throughout the years. 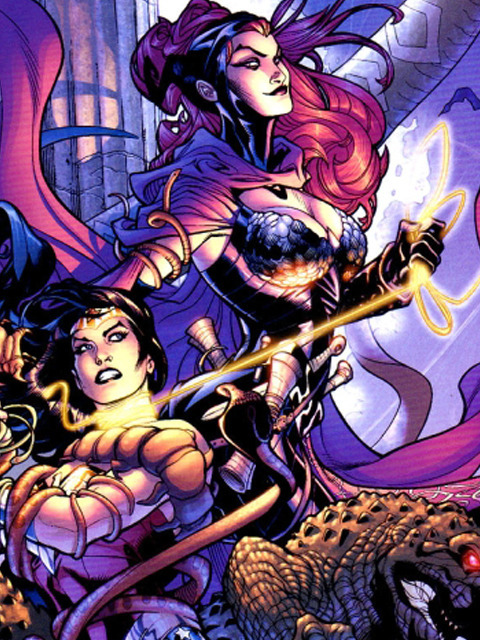 Circe’s powers are many, the ability to change reality and transform matter, she can control minds and is also a necromancer. She can teleport, fly and can produce deadly bolts of magical energy. 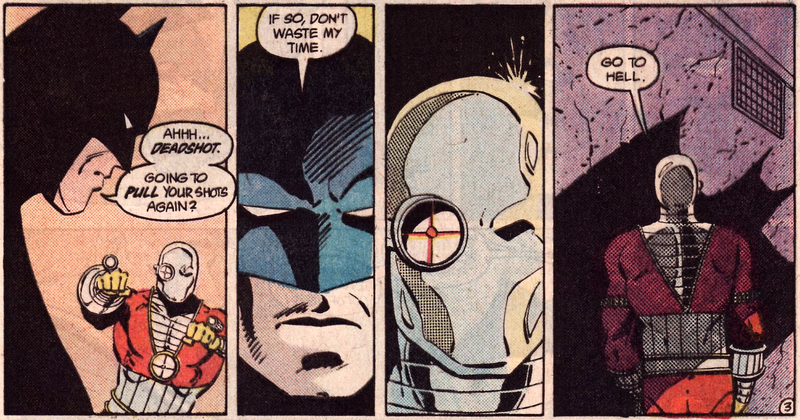 She is one of DC Comic’s most powerful villains and always knows how to ruin Wonder Woman’s day. 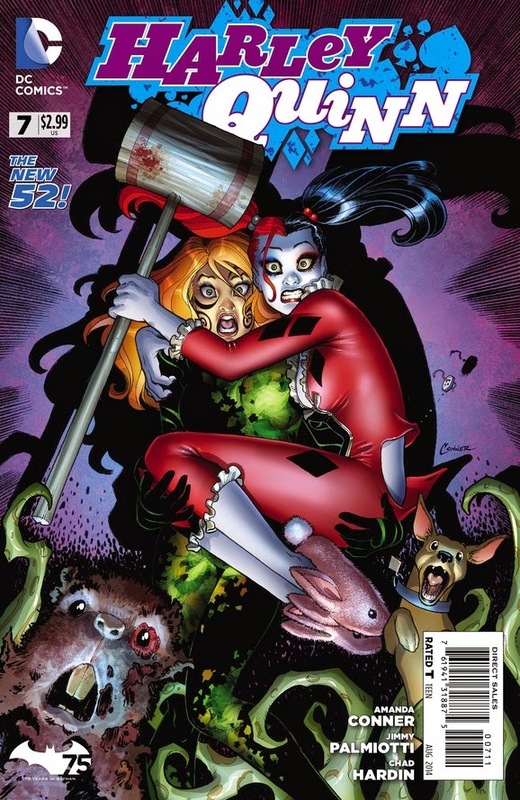 Super-Villain Sunday this week honours the Mistress of Mayhem herself: Harleen Quinzel better known to her adoring (and terrified) fans as Harley Quinn. 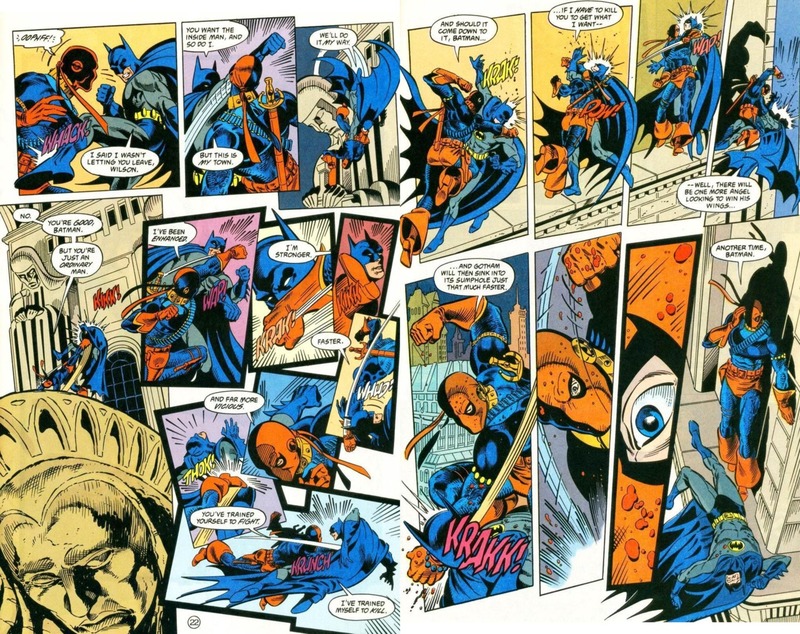 Harley’s creation was different to most other comic-book characters in that her first appearance was not in comics but in the seminal Batman: the animated series, specifically episode #8 – Joker’s Favour in 1992. 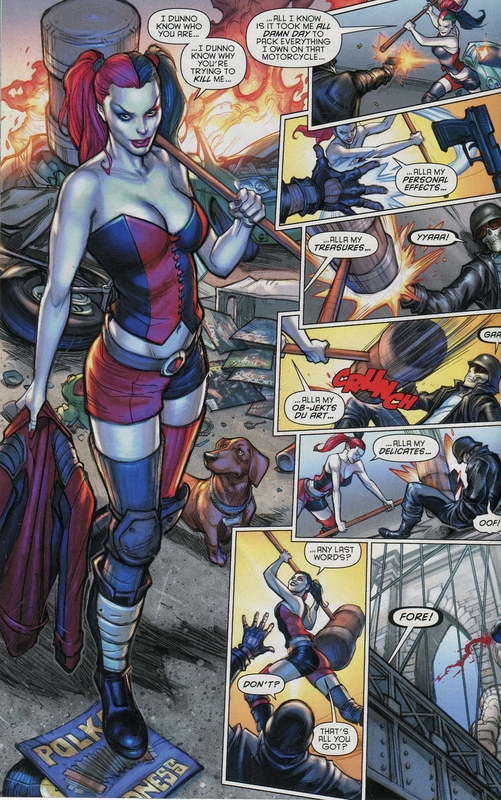 She proved wildly popular with the fans and was introduced into comic book lore in the 1994 graphic novel Mad Love which gives us her origin story as Dr Harleen Quinzel, a psychologist working in Arkham Asylum and treating the Joker, whom she falls madly in love with and ends up joining as his crazy sidekick and on/off love interest Harley Quinn. Ooh! right in the unmentionables!! The story was a huge success and received Eisner and Harvey awards for best overall story in 1994, Harley proved so popular that she has been one of DC Comic’s most loved female characters since. 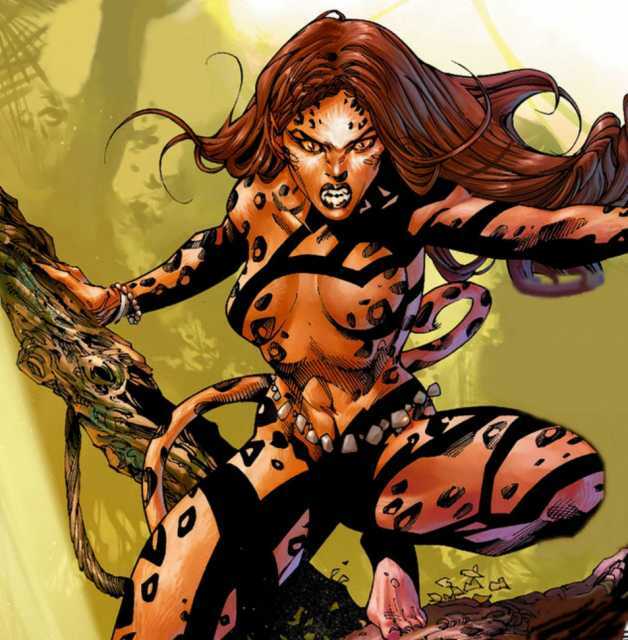 She had her first solo series in 2001 which ran through to 2003, a fantastic 38 issue run which set the standard for the characters quirky, dangerous but loveable personality. She has also been a member of several Super-Villain teams including – The Secret Six alongside characters such as Deadshot and Catman and is an on/off member of the Government run Suicide Squad, which is currently being made into a big screen film by Warner Bros, actress Margot Robbie (Wolf of Wall Street) is rumoured to be playing Harley. Gotta love those pink bunny slippers! This won’t be the first live action version of Harley Quinn though as she was originally portrayed by actress Mia Sara in the Birds of Prey television series in 2002. She has also proved hugely popular with video-game fans having starred in Batman: Arkham Asylum, Arkham City and Injustice: Gods Among Us. In fact her gaming appearances go all the way back to the 16 bit era, where she had cameos in The Adventures of Batman and Robin on Sega Megadrive and Super Nintendo, she can also be found in MMO – DC Universe Online. Harley’s best friends (apart from her puddin’ Mr J) are fellow Gothamites Poison Ivy and Catwoman, who she regularly meets up with to cause Mirth and Mayhem, you can catch their adventures in the Gotham City Sirens series. 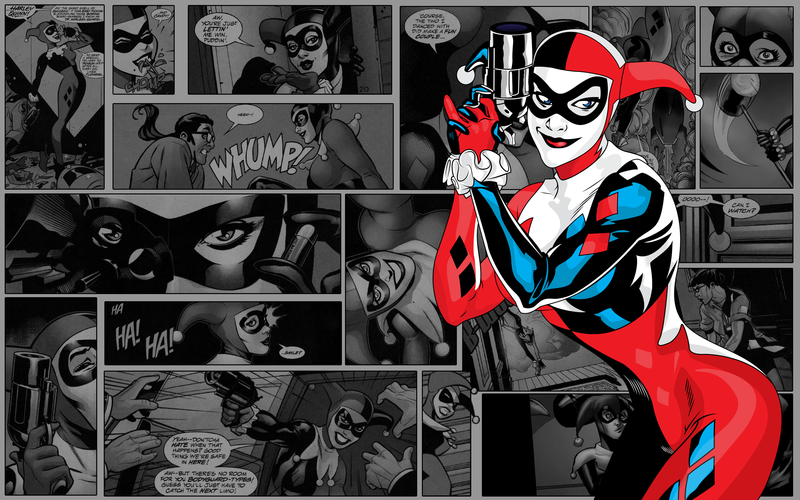 So let’s hear it for the Queen of chaos, Harley Quinn … long may she reign! Star Sapphire was created by Robert Kanigher and Lee Elias in 1947, and made her first appearance in All-Flash Comics#32, the original of the many Sapphires that would appear over the years was the Queen of the 7th dimension. 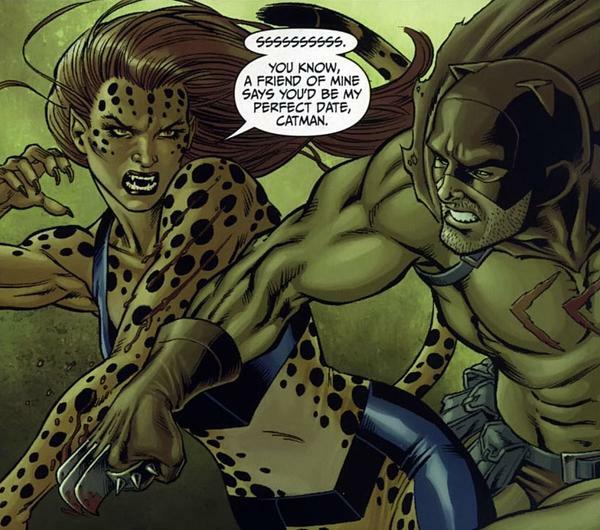 It was later revealed she had been chosen to be the Queen by a race of female warriors known as the Zamarons. The Zamaron were originally the females members of the Maltusians, after a renegade scientist performed a forbidden experiment that unleashed evil into their universe the Maltusians split as a race, the male Maltusians (now known as Green Lantern originators Oans), settled on the planet OA. Another group split off and became the Guardians of the universe, the females however were known as the Zamarons and became a warlike warrior race akin to the Amazons back on Earth. 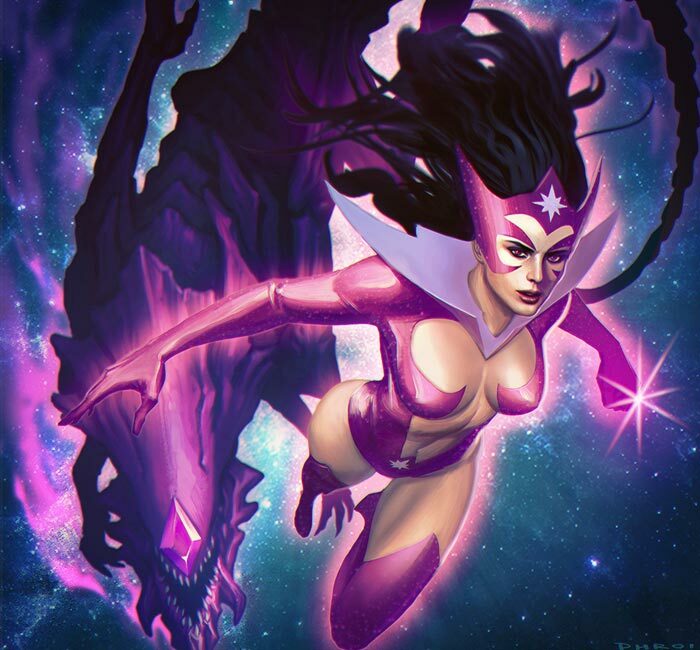 They would choose a Queen from a mortal race (Zamarons and Oans are immortal), and would gift her a psionic purple crystal thus transforming her into Star Sapphire. The second and most well known of the Star Sapphires was Carol Ferris, whilst working at her father’s Ferris aircraft she met her on/off love interest Green Lantern – Hal Jordan, her first appearance as the new Sapphire was in the 1962 issue of Green Lantern #16. Chosen to be the new Sapphire by the Zamarons, Carol would go on to battle Hal for many years until the power was finally removed from her when Hal briefly became the entity known as the Spectre. The third Sapphire was Dela Pharon, chosen to be the new Queen of the Zamarons, she would go on to battle Carol Ferris for the honour of being the superior of the Star Sapphires. There were two other significant versions of Sapphire over the years, Debbie Darnell is the adopted Earth name of Remoni Notra of the planet Pandina, who eventually moved to Earth and joined the Secret Society of Super-Villains. Next was Jillian Perlman, daughter of a Texas rancher who became a pilot in the US airforce, saved by Green Lantern after an engine on her jet malfunctioned, she would later be possessed by the purple Sapphire crystal becoming the new Sapphire. After the events of 2009’s Blackest night saga, the Star Sapphires became one of the seven Corps that gain their powers from an emotional spectrum, with the Sapphire Corp becoming the Violet Lanterns, the violet colour denoting the emotion of love. 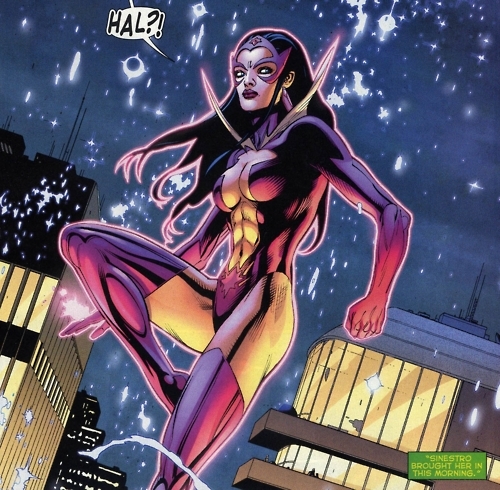 The powers of Star Sapphire are similar to that of the Green Lanterns, the ability to make violet hued hard-light constructs of whatever they can think of, they also have the ability of flight and can form protective shields and auras. 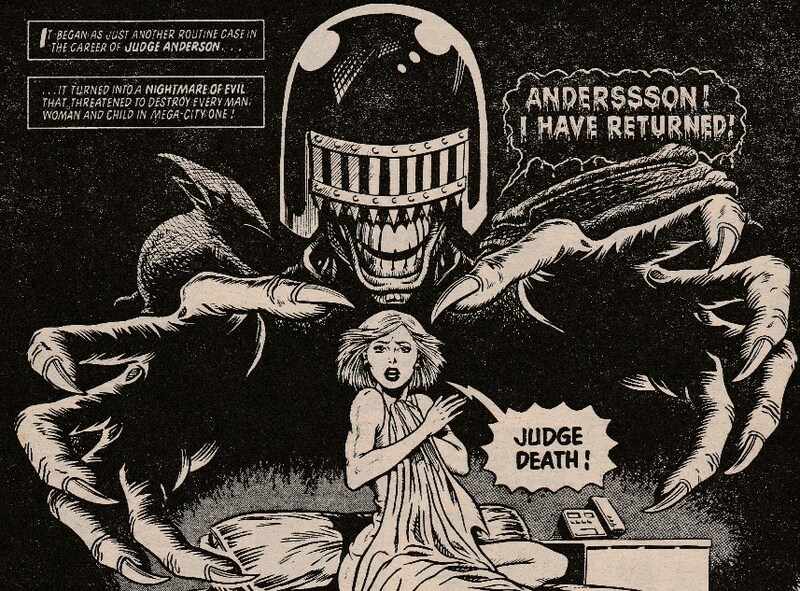 The Silver Banshee was created by John Byrne in 1987, and made her first appearance in Superman #595. Siobahn McDougal was born in Castle Broen, which is situated on a small island just off the coast of Ireland, Her father Garrett is the leader of a Gaelic clan that has occupied this island for centuries. Siobahn spent the earlier part of her life travelling the World, until the unfortunate news of her father passing away brought her back to Castle Broen, fully expecting to take up her father’s role as clan leader through the right of being the first born, she was blocked by her Uncle who declared that no woman should ever be allowed to lead their clan. Deciding to ignore his protestations, Siobahn went ahead with the ancient family ritual that involved invoking supernatural forces that would enable her to lead her clan, interrupted part way through by her young brother, Siobahn was dragged into an infernal dimension where she met the Crone, who granted her powers and the ability to return to the World as long as Siobahn delivered to her an occult book owned by her father … thus the Silver Banshee was born. Silver Banshee possesses super strength, is highly intelligent and of course has a hypersonic scream, like her Banshee namesake, she can also use her sonic abilities to teleport via the sound waves themselves. Banshee has appeared in a number of Justice League animated episodes and movies, she made her first ‘live’ performance in an episode of Smallville in 2010, portrayed by actress Odessa Rae.